Top Marks for the Maxwells! 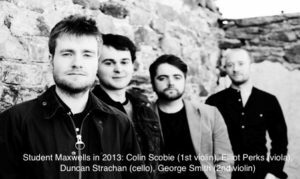 In February 2013 this was written about the Maxwell String Quartet in the Inverurie Advertiser: ‘With their maturity of musical understanding and virtuosity they should find their name at the top of the bill in many a chamber music concert.’ We have not been disappointed. In fact the musical world has been stunned by the musicality of this young group of musicians. Whether the venue is large or small, the Maxwells have gained exuberant plaudits from critics and international fame. Amongst their achievements, the Maxwells won 1st Prizewinner and Audience Prizewinner in 2017at the Trondheim International Chamber Music Competition. Reflecting the hectic life of a musician, Duncan remarked, “It seems so long ago.” But in his introduction he explained how much the quartet enjoyed playing in Inverurie. The concert was part of a “thank you” tour of Scotland to acknowledge the support that the quartet had received from its musical societies and members. Hectic tours of this sort take their toll. It is up to the promoters, like Inverurie Music, to lessen the fatigue and make a stay as homely and relaxed as possible. The recital began with Haydn’s Quartet in E flat, Op 71, no 3, which will feature in the Maxwell’s forthcoming CD. In Haydn’s day, attitudes were beginning to change but generally a musician was regarded like any other craftsman. Whereas a carpenter made a chair, a musician made music. However, London, for whom the quartet was written, was a more modern audience. They warmed to Haydn’s style and he reciprocated. This work is intelligent and economic, yet Haydn’s sense of humour surprised us with elaborate and capricious turns in the woodwork, crafty as well as crafted. The Maxwells crisp articulation, exactness of pitch and superb balance charmed the audience immediately. 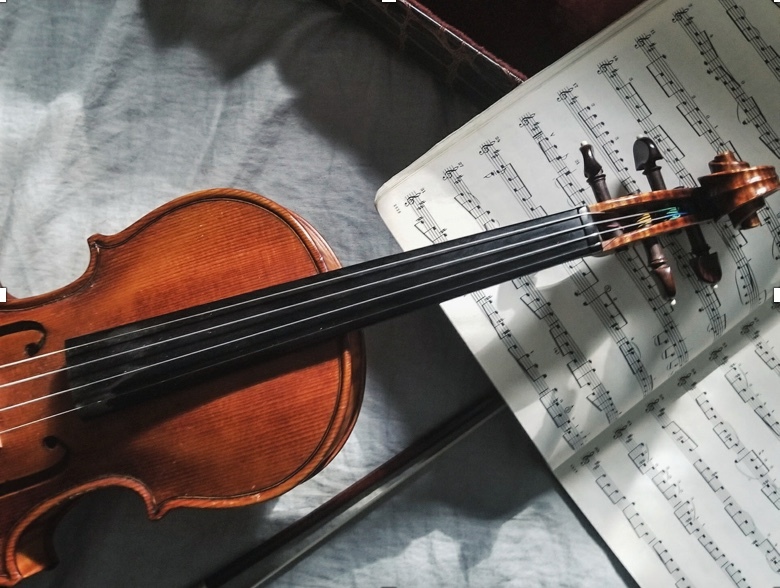 It could be said that their musical understanding and awareness was so acute that the sound could be perceived as coming from one instrument, not four. Joey Roukens’s “Visions at Sea” was eerie and atmospheric, almost like film score music. Old style music or sound effects were injected into the minimalistic texture. This called for a high degree of technical skill and concentration. The Maxwells “togetherness” was equally apparent when they polished off the first half with a melody from their library of traditional music. The captivating “Fear a Bhata” or “The Boatman” is a song of waiting, love and grief and could justly be called an anthem for the Western Isles. The second half of the concert was devoted to the Quartet in B flat op 130 (with Grosse Fugue). Elliot gave an interesting introductory talk, reminding us that Beethoven was by now completely deaf. He described how difficult it was for him and the mental concentration that he needed to combine different pitches and rhythms. Yet, despite the intervention of his publisher to make his compositions more approachable, Beethoven made no compromises with his late string quartets. The quartet in E flat is complex and difficult for performer and audience alike but the Maxwells handled it brilliantly. Rhythms, such as the semi-quaver passages in the 1st movement were articulated with uncanny accuracy and the drama of the work was unflagging. After enthusiastic applause from the well-filled auditorium, the quartet played a waltz-time number from their traditional collection as an encore. The applause was sincerely acknowledged by the quartet. Go on Maxwells – the world is waiting!